E-mailing a photo in Windows 7 is a great way to share your photos with your friends and family. Most people today have access to a digital camera (even if only on their cell phones) and have started swapping photos like crazy, both online and off. 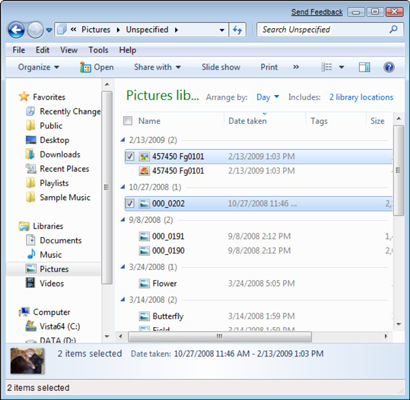 In Windows 7, you can send a photo to your favorite e-mail program directly from your Pictures Library. Choose Start→Pictures. In the Pictures Library, click a thumbnail to select the photo you want to send. Picture files selected in Pictures Library. To choose multiple photos, hold down the Ctrl key and click additional thumbnails. Right-click the selected files and choose Send To→Mail Recipient. The Attach Files dialog box opens. Change the photo size by clicking the Picture Size drop-down arrow and choosing another size from the list if you wish. 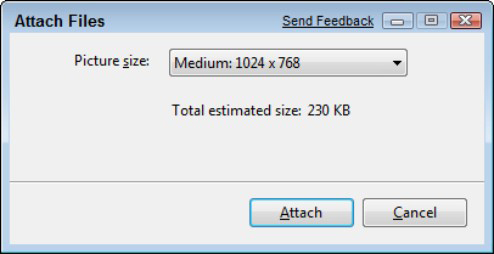 Most e-mail programs limit the size of e-mail messages. You might encounter problems sending larger photo files, and even if you don’t, others might have trouble receiving them. Although you can send a video file as an e-mail attachment, you can’t resize it; video files make photo files look tiny by comparison, so it’s probably better to send one at a time, if at all. An e-mail form from your default e-mail appears with your photo attached. Fill out the e-mail form with an addressee, subject, and message, and then click Send. You can also open an e-mail form first. Then, with the Photo Viewer open, click and drag a photo to your e-mail. However, this method attaches the photo at its original file size.